This is a list of tools (and companies that provide them) that I trust to provide relief from repetitive strain caused by anything from weighlifting to daily posture. ===== Links are clickable to go to their sites. Jill Miller’s #yogatuneup and #tuneupfitness therapy balls are highly recommended for beginners to advanced. I have the Alpha ball with me at ALL TIMES. Get these INSTEAD OF LACROSSE BALLS! 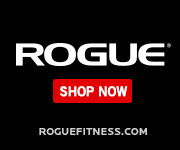 ROGUE FITNESS – Columbus, Ohio Just search their site for mobility and therapy products. They have almost everything !